Need a terminal to drop a trailer for someone else to pick up? Need a cross dock to transfer a skid or truckload into another trailer? Need a skid or entire load reworked or repackaged at our dock? Need temporary warehouse space for product that your customer refused due to their receiving hours? Need to have an emergency pick-up or delivery, that you are about to miss in the Detroit Metro Area? Professional Movers.com is here to help! Professional Movers.com offers complete Cross-docking Services which allow our customers to reduce handling and storage costs while improving turnaround speed and transportation costs. By routing products from different sites into the Professional Movers.com distribution center, we can consolidate the items into one or multiple shipments and send them back out. 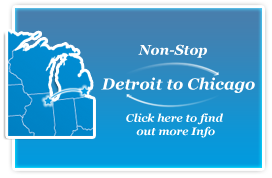 Our state-of-the-art cross-docking operations are centrally located in beautiful Walled Lake, MI. We welcome you to stop by and view our ideal cross-docking facility. On weekdays, our standard receiving docks are open between 7:00 a.m. and 4:00 p.m. 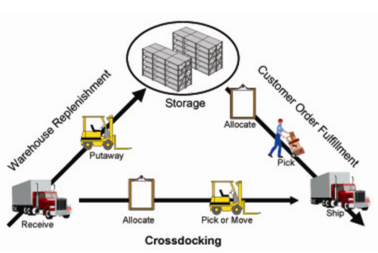 However, special Cross-docking Services are available anytime 24-hours a day and even weekends. Advance bookings can be made by calling one of our Cross-Docking Consultants at 248-926-9999. Our Cross Docking Consultants are on-hand and ready to answer any of your questions. In addition, the Cross Docking Consultant you work with will be there the day your items are brought to our Walled Lake, Michigan facility to ensure a smooth, seamless cross-docking experience. Just give us a call today at 248-926-9999 and schedule an appointment to have one of our Cross Docking Consultants provide you with a FREE ESTIMATE.